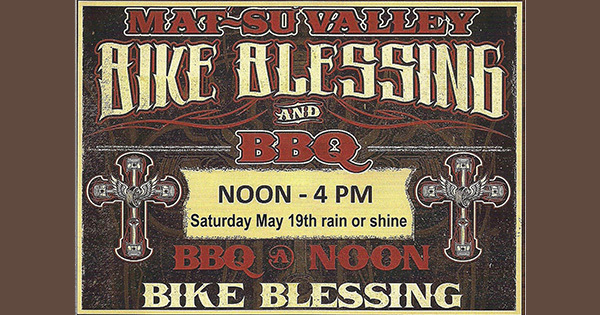 The 18th annual Bike Blessing and BBQ for Mat-Su Valley is on Saturday May 19th from noon to 4pm – rain or shine. Located in Downtown Palmer and hosted by Valley ABATE / MSF. Special thanks for 16 years of local support from our sponsors listed on the image. Call the number on the image below for more information. 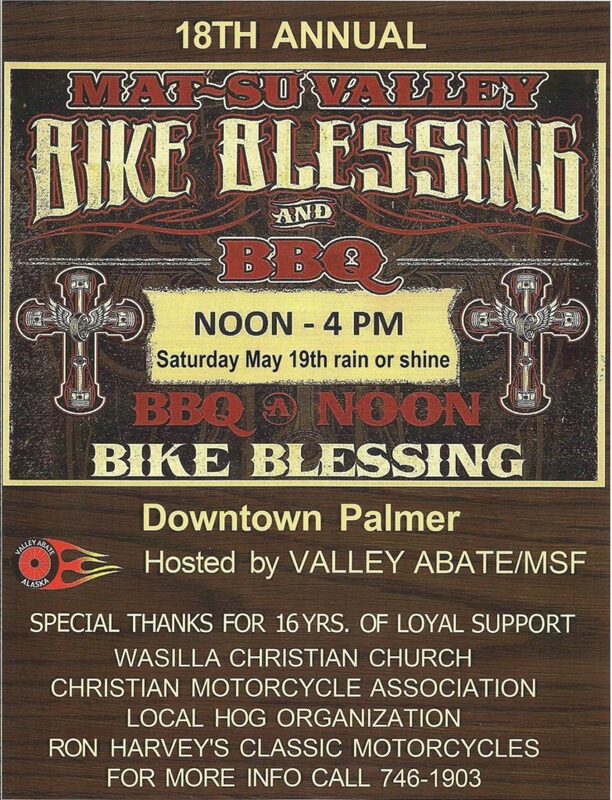 Looking forward to the Bike Blessing event. Thank you so much for the sponsorship. Antonio V. on Welcome to Valley Abate!